Aesthetic Everything is one of the largest aesthetic conglomerates on the planet. Because of their connectedness and influence in the industry, they recognize those that have truly stood out in their field every year with an Aesthetic Everything Diamond Crystal Award! The awards cover every category in aesthetics from plastic surgeons to medical spas, but only those that have demonstrated their commitment to contributing to the field with quality products and service are eligible for this highly coveted award. This year, Esthetic Skin Institute won the Top Training Center Award! We are humbled to be honored and recognized with the highly coveted title of top training center, but we cannot say we are surprised. 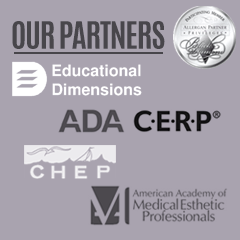 The aesthetic technicians at Esthetic Skin Institute are committed to teaching medical professions that are looking to branch out into Medical Esthetics—and we have been since 1997! Our programs provide an infrastructure of understanding that begins with the necessary medical knowledge for aesthetic procedures but also covers the intangible aspects of becoming a medical esthetician, such as patient-practitioner relationship and patients’ privacy policies. Our hands-on teaching methods are thorough and encompass everything that one needs to become a successful, qualified medical professional within the field of aesthetics. The goal for Esthetic Skin Institute is not to churn out medical estheticians. Our goal is to truly educate and impart a level of understanding that will lead them down a rewarding path in the aesthetics field. We are so committed to making sure that our enrollees understand all it is that we have to teach that, for the year following their graduation, they can retake programs that they previously had already enrolled in—free of charge. Yes, our facilities are modern and our methods are cutting edge, but the reason that Esthetic Skin Institute was named the top training center by Aesthetic Everything is that of our dedication to instilling knowledge and understanding to all who enroll in our programs. Platelet Rich Plasma (PRP) Therapy has been well known for years as a treatment for sports injuries. Recently, it’s been gaining immense popularity in Aesthetic Medicine for its facial rejuvenation and hair loss applications. Utilizing advanced technology to promote the body’s own healing capabilities, it is easy to see why PRP is becoming such a high-demand in-office procedure. PRP Therapy is non-surgical. After a blood draw, the sample is separated into active serum and platelet components. Concentrated platelets from the patient’s blood are injected or micro-needled where needed, including areas of wrinkled skin, tissue damage, and thinning hair. PRP contains large amounts of growth factors, stem cells and signaling proteins that promote collagen production and stimulate new cell growth. This can encourage skin repair, regeneration of the tissue and reactivation of the hair growth cycle. PRP Training for aesthetics and hair is perfect for healthcare professionals wanting to add medical aesthetics to their practices; particularly for those wanting to offer in-demand, cutting-edge cosmetic treatments in-office. As patients continue to seek the latest less-invasive procedures for aesthetics and hair, PRP Training for your clinicians is a great investment in the future of your Aesthetic Medicine practice. With twenty-two years of experience in Botox and Filler treatment training, it’s no wonder Esthetic Skin Institute is the premiere physician’s educator in the business. Many of your clients seek firm, beautiful, wrinkle-free skin and as the talented physician you are, you simply want to provide them with the best service in the business. You must choose professionals who can properly teach you the fine techniques involved in perfecting the art of Botox and filler treatments, as each client who comes to you will have very different needs. Why Choose Esthetic Skin Institute? Individuals are constantly in search of a medical professional to assist them in looking rejuvenated, as though they’ve been away at spa retreat for weeks! There are few better options to provide your patients with the lively look they’re going for than Botox and filler treatments. With twenty-two years in the business, our educators at Esthetic Skin Institute provide the techniques, tips, and tricks needed to properly administer Botox and filler treatments to really wow your clientele. An institution with that much experience is excited to pass down knowledge of these techniques, to leave your clients raving and spreading the word about how wonderfully you transformed their appearances! We Offer a Comprehensive Educational Experience! Through the explanation of our experts, you will learn the history and application of Botox and filler treatments, invaluable to your practice. We delve into every topic that, with our insurmountable experience, know both doctors and their patients are sure to ask about for a comprehensive lesson, whether that is how to apply your techniques to the aging face, or how to properly manage the pain your patient may feel after Botox and filler treatments. Esthetic Skin Institute knows there are seemingly endless brands available on the market – our experts will be able to guide you through the many different characteristics of each brand, and which to use for each client’s Botox and filler treatments. Call today or go online to see what Esthetic Skin Institute can offer your practice! The art of PDO thread lifting is fairly new to the large market of skin treatments and enhancements. 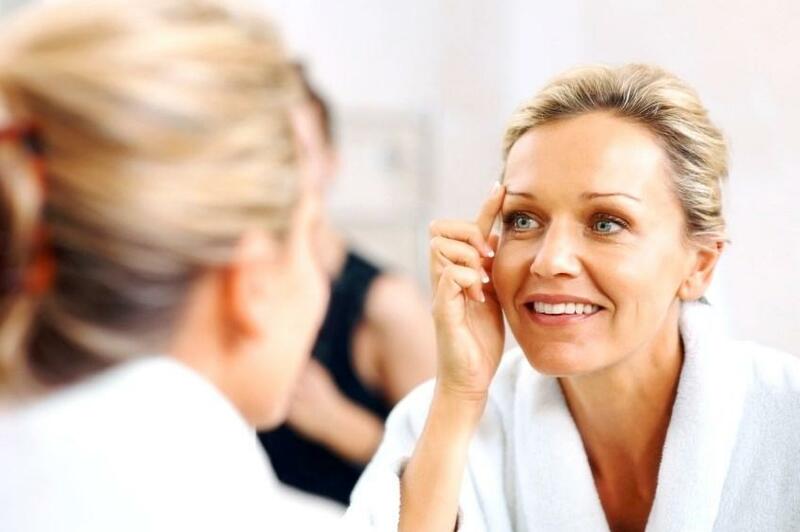 If you have never heard of it before, PDO thread lifting is a service that provides the client with a minimally-invasive approach and presents similar results to a facelift. Even further, this procedure is regarded on the market as the “nonsurgical facelift”. This technique is an easily marketed skill to your potential and current clients. As any procedure that requires little to no invasive aspect, this is often chosen over other techniques with more surgical aspects. Esthetic Skin Institute has an astounding track record when it comes to the PDO thread lifting facelift, as it was the first institute found in the US to implement training for the procedure in the United States. This basically means through much practice and implementation, we at Esthetic Skin Institute have honed the art of thread lifting training, therefore having the ability to provide thorough, excellent training that will carry over into the skill of your daily work as a physician. As the first in Untied States PDO Thread Lifting education, not only does this mean that we have skilled instructors able to teach you the art of thread lifting training, but also Esthetic Skin Institute has had plenty of time to develop a comprehensive curriculum for the best thread lifting training on the market. It’s always a plus to be knowledgeable on a wide variety of services to provide your clients with. PDO thread lifting is an excellent service to add to your office, whether you are a Physician, PA, or even a dentist. Profitable for you, and nearly painless for your patients, thread lifting is currently a highly sought-after service for patients and doctors alike. Take a look at what thread lifting training Esthetic Skin Institute has available in your area today by visiting our site today, https://www.esiw.com/course-schedule/. If you’re a practicing dentist looking to increase your skill set as well as open your practice to a wider range of patients, then Botox and dermal filler training are exactly what you need. Admittedly, it might seem like a strange idea at first, but the majority of dentists have completed training in oral and maxillofacial areas – which would be from the forehead to the chin – that is far more advanced than many other healthcare professionals who already deliver dermal fillers and Botox injections. 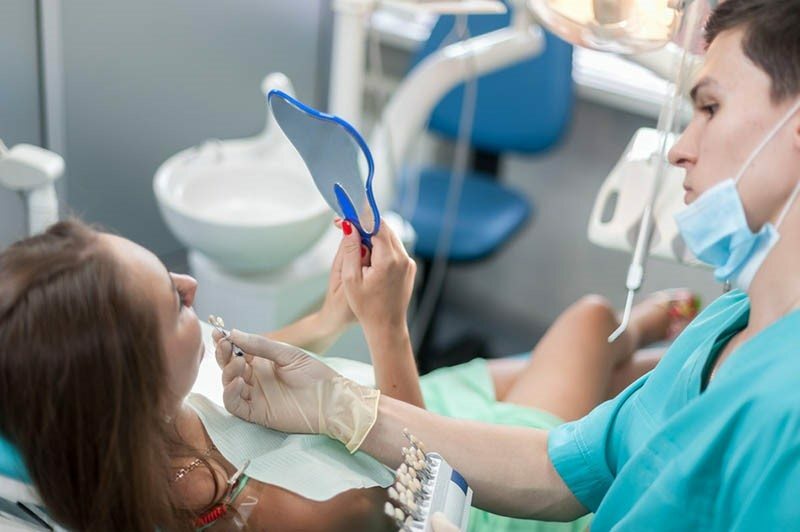 While many dentists might feel like these procedures should be left to physicians, this just means that they are missing out on a previously untapped source of revenue. All it takes is a training course from the Esthetic Skin Institute to get you on your way to adding these aesthetic procedures to your practice. There was once a time when now-common practices like teeth whitening, minimally invasive veneers were considered dangerous by dentists. Just as these procedures became an everyday part of any dentist’s skill set, so can Botox and dermal fillers. In fact, dentists already have several major advantages when it comes to being able to administer Botox and dermal filler injections. For one thing, dentists are far more familiar with these facial areas than other practitioners, which means that they are better equipped to deal with any complications in these areas. They also frequently give injections to their patients even in the same area, just on the outside of the mouth rather than the inside. These are just a few reasons why it makes sense for dentists to take our course in Botox and dermal fillers to increase the range of services they can provide and thus increase their revenue stream. They already have the basic knowledge, and the Esthetic Skin Institute can give them the hands-on practice and training needed to perform these procedures in a safe and effective manner and become certified. If you’re a medical professional interested in expanding your aesthetic medicine expertise and skill set and being able to provide your patients with cutting-edge aesthetic treatments, then our new Kybella training course is just for you! This one-day comprehensive training and certification workshop will explore the cosmetic applications of Kybella, a formulation of a naturally-occurring molecule in the body that works to break down and absorb dietary fat. Kybella injections are used to remove the appearance of a so-called “double chin” by reducing fat on the upper neck. Now is definitely the time to get Kybella training, as it is quickly rising in popularity due to its status as the first and only FDA-approved drug that with an indication for submental fullness. Prior to Kybella, the only other option for patients looking to treat this issue was to undergo liposuction. While liposuction is still an effective treatment, Kybella leaves the remaining skin tighter, whereas liposuction sometimes has issues with leaving behind excess skin, lessening the effect of the treatment. The number of injections and treatments required depends on an individual’s submental fat distribution, and once their aesthetic goals have been met, a retreatment should not be needed, as once Kybella destroys the fat cells in the neck, the cells should no longer be able to store or accumulate fat. Our Kybella course covers how to safely administer Kybella, the anatomy of the submental region, patient selection and comfort, what to consider post-treatment, and even how to customize the treatment to your patients’ individual needs and desires. As with every Esthetic Skin Institute Class, you can expect both a live demonstration as well as a hands-on practice session and insightful Q and A session. Our Kybella training also comes with bonus courses in Carboxytherapy and Mesotherapy and their applications in skin tightening and rejuvenation as well as the removal of cellulite and stretch marks. Sign up today to take advantage of this special course and the opportunity to learn how best to administer these popular aesthetic treatments.